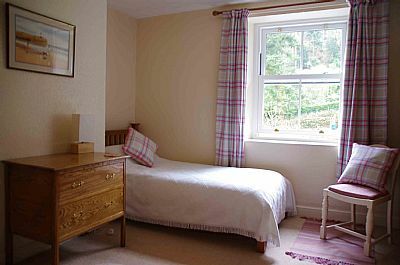 Robin's Brook is a comfortable, centrally heated, home from home, fully equiped for you self catering holiday. 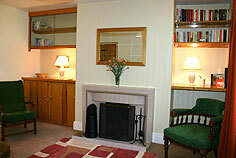 Downstairs there is a cosy lounge and separate dining room, both with open fires. There's a TV, DVD, loads of books and games for rainy days and lazy evenings in front of the fire. 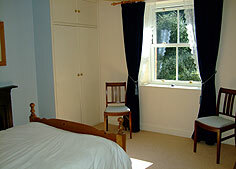 Both rooms have views across the combe. The fitted kitchen is fully equipped including hob, oven, microwave and a washer drier & The bathroom with bath and integral shower and loo are upstairs. Upstairs there are two bedrooms, one double and one twin. Both have wonderful views to the front of the cottage and you can hear the stream running alongside the garden at the front. 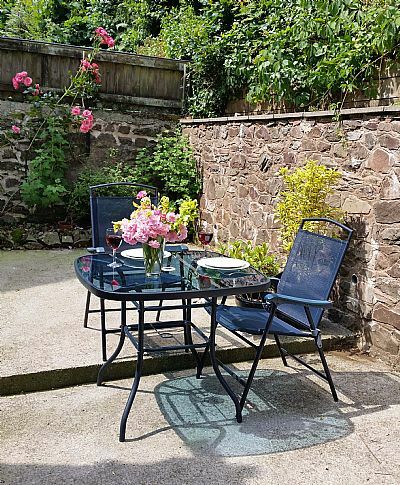 At the front across the lane there is a large enclosed garden with Hawkcombe stream running down the far side, a picnic table, swing and a lovely view of Hurlestone Down. At the back of the cottage there's a small enclosed area with access to a second (outside) toilet. * Coal and logs are available in Porlock, we can arrange for logs to be left for a small cost. 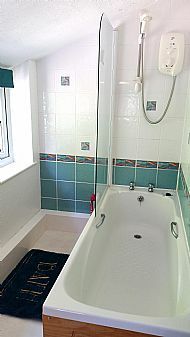 Electricity, central heating, towels and bed linen are included.